If an orange is purple, is it still an orange? 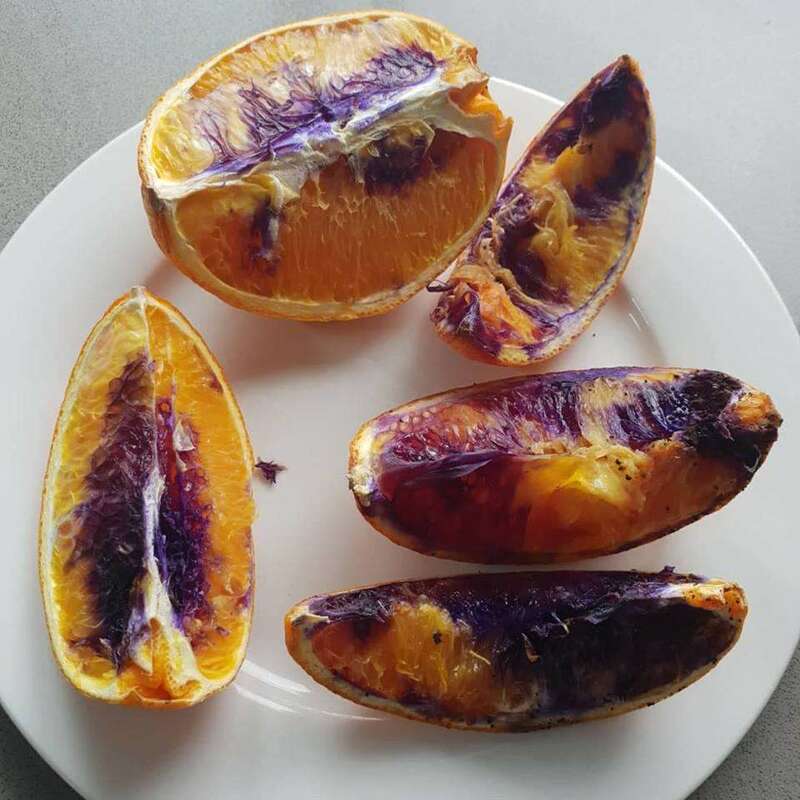 Neti Moffitt, a Queensland, Australia resident, was going about her normal business when she noticed something rather peculiar on her kitchen counter – the leftover slices of an orange she had cut up for her 2-year-old son the day before had started to transform into a deep purple-ish color. Baffled by this turn of events, she checked the bins for the rinds of the slices her son had already eaten. Those, too, were purple. "I went rifling through the rubbish bin for the three bits eaten by my son, and sure enough they were more-so purple than the ones left out on the bench,” Moffitt told ABC News. The good news: her son is fine. 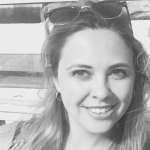 "My first thought was I hope it has had no ill effect on my child. But he's fine, absolutely not a drama," Moffitt added. The bad news: no one really knows why the orange slices turned purple in the first place. Moffitt contacted Queensland Health and an officer came and took the slices, as well as the knife used to cut the orange and a steel knife sharpener. "They were really curious with fruit trees we have in our garden. I also have a bunch of roses beside the fruit bowl, so they took that into consideration," Moffitt explained. "[T]hey're baffled, they're absolutely stumped. No one knows what caused it." But it's not the first time something like this has happened – purple oranges have existed at least once before. Again, in Queensland. In 2015, Angela Postle told Nine News she had left some slices cut for her children's lunchboxes in a bowl overnight only to wake up and find they had turned a curious color by morning. She took photographs of the unusual fruit as it became more and more purple, and contacted local health authorities to request testing. First, tests ruled out common artificial coloring. Next, tests ruled out iodine. But while scientists were able to work out what wasn't causing the color change, they weren't able to find out what was. Since then, Postle says she has had it happen again with fruit bought from a different supermarket, which seems to suggest that it has more to do with something in the home than the fruit themselves. "The weirdest thing is that it doesn’t happen to every orange – only some of them," Postle added. While scientists are still trying to unfold this mystery, Twitter users have been offering up their own ideas. Suggestions include anthocyanin, a dark purplish pigment found in berries, cabbage, and some root vegetables. Or luminol, a substance used to detect traces of blood at crime scenes. Others have taken a less serious approach. And, of course, some are now questioning whether or not the fruit even deserves to be called oranges anymore.